The members of the Public Gallery of Carrboro (dba WCOM Community Radio) held its 2016 Annual Meeting on Saturday, October 22 in the ArtsCenter. The membership by acclamation elected Eliza Dubose to a three year term on the board of directors starting on January 1, 2017. Donald Brumfield presented the engineering report, Bill Henderickson for the Development Committee, and Karl Blake for the Programming Committee. The latter has been very active lately adding new local and syndicated shows and developing a system for rebroadcasting local programs. Art Menius offered the financial report indicating that the board has ended the unfortunate run of $2000 annual losses that began with the $5400 per year increase in studio space rental. Menius gave the chair’s state of the station report. He listed numerous accomplishments of the past nine plus months including enhanced budgeting and cash flow projections, stronger committees, new bylaws and observing them, more fundraising and grants, adoption of and monitoring a long range plan, bringing the station into compliance with the Digital Millennium Copyright Act of 1998 with the outstanding support of music hosts entering data into Spinitron, and 100% underwriting compliance. He also listed challenges before us including increasing involvement in the local community, strengthening the community of WCOM members, getting more people involved in the tasks that keep the station on the air, and building a financial reserve. Thanks to our station engineer, Donald (DJ Smooth Jazz) Brumfield and board member Don (Rock n Roll Doctor) Emmett, WCOM had a presence at the Carrboro Music Festival on September 25. WCOM will receive the most financial support from local government to date for FY2016-2017! The total of $1750 is the 3.5 times what we received during FY2015-2016. The Orange County Board of County Commissioners approved an entirely new allocation of $1000. The Town of Carrboro increased its support to $750 from $500. Both funding allocations came through the Combined Outside Agency Heath and Human Services process that began with our submission of a complex application in January. We appreciate this show of support from our local government elected officials and the WCOM show hosts who have welcomed them to our airwaves. Focus on Business began airing in 2013 on WCOM-FM and has featured local, regional and national guests talking about the things that impact businesses, whether on Main Street or Wall Street. The growing popularity and visibility of the show and its host Lea Strickland have generated broad interest in being a show guest. Guests and listeners have been providing positive feedback on what the show has been doing to increase the visibility of their organizations, the Town of Carrboro, and WCOM. With a mix of hot topics including the impact of current changes in regulations impacting businesses including overtime rules and minimum wage laws, to the efforts to get a balance budget amendment to the US Constitution through grassroots efforts, as well as profiles of successful entrepreneurs and non-profit initiatives, Focus on Business is having a positive impact on the business community. Lea Strickland, the creator and host of Focus on Business, is an author, columnist, entrepreneur and small business owner. She has published six books and over 800 articles on business issues that have appeared in Entrepreneur Magazine, Mainstreet.com, TheStreet.com, FoxBusiness.com, Sales & Service Excellence, =, Small Business Technology Magazine, and more. Lea is a frequent speaker on how to start and grow businesses, and on how leadership plays a role in the culture and success of organizations. Lea’s extensive background in working with businesses large and small and as an entrepreneur enables her to create a strong connection with both her guests and her audience, providing valuable lessons on building, maintaining and strengthening businesses. Upcoming guests and show topics include Nick Dranias with Compact for America, who will discuss the Balanced Budget Amendment grassroots campaign. Future shows will also focus on increasing government regulations including overtime and minimum wage changes; chats with nationally recognized authors; and spotlights on local businesses and non-profits. To be a guest or recommend a business success story to profile,click on the Be My Guest. To listen to past episodes, download the WCOM podcasts for Focus on Business or click Listen/Watch Focus on Business on Lea’s website. Focus on Business is underwritten by Close HR Connections (http://closehrconnections.com/) and F.O.C.U.S. Resources. The WCOM community owes a big debt of gratitude to Donald “DJ Smooth Jazz” Brumfield who not only agreed to take on the vacant chair job with the Engineering Committee but to serve on the board of directors effective immediately. Donald reported on the late May meeting of the Engineering Committee. Jim Dennis of the Music Loft is our man for equipment issues. Bill McClymont, now an advisor to the committee as is Tofu Dave, is training Donald on Simian so that Donald can become the go-to person for Simian. The Development Committee has planned a great WCOM member party for Monday, June 20. All WCOM members (show hosts, volunteers, and donors) should have received an email invitation two weeks ago. If you did not, please email me at art@artmenius.com. If you did, please rsvp. There is no admission fee! Vimala’s is donating the food and dessert; WCOM non-alcoholic beverages; music by mandolin great Tony Williamson. At the party, we expect to have new WCOM T-SHIRTS available as a premium for $15 or more donations to your station. Thanks to Don and Donald for making this happen. The Board Development Committee which will recruit board candidates for the October election will be Don Emmett, Tana Hartman, Marc Lee, and Ben Alschuler. You can send me nominations of others or yourself at the email above. I’ll forward them to the committee. We now have five functioning committees as compared to one in 2015. If you are interested in committee service, just email me. The Program Committee reported that during the next two months two completely new shows and one returning after a couple of years will be joining our lineup. We are saying goodbye, however, to Sidelinz Sports and its host TC Rogers after four years. The final Sidelinz aired on June 8. Rather than a regular monthly meeting in July, your board will hold a long range planning session on the 9th. The next regular board meeting will be August 10. One of WCOM’s newest shows is The Batchelor Pad Show with LA Batchelor. The program joined the WCOM family in October 2015 and airs Mondays from 6 to 8 pm Eastern. It can also be heard on 900/1250 ESPN radio in New Hampshire (espnnhradio.com), WHBO in Tampa, Florida (Sports Talk 1450) and online at blogtalkradio.com. The program talks about the issues of the day from sports and politics to race, society, religion, and business (Full disclosure: I am a recurring guest on the program to talk business, legislation and the issues of the day). “Radio shows don’t just happen. It takes planning and prep. It is about the music, the artist, and the message.” Says Rocco Nittoli host of WCOM’s Music Hall, which airs Saturdays 9 am to Noon. Rocco should know: He been on the air with Music Hall since December 2003, but began his radio career in 1961 and has spent decades honing his mastery of crafting the right mix of music, information on artists, and connecting with the audience across the airwaves. Rocco’s experience in crafting a listener experience comes through in each Music Hall show. “I usually think about a theme for the show. My April 16 (2016) show’s theme was British groups. Then you find the strongest songs, not necessarily the number one songs or the biggest hits and groups, but you want timeless songs—the music and the lyrics—it needs to be as relevant today as it was when the music was made.” Says Rocco. The best shows are seamless and seem effortless, but in reality require time and attention to detail in the planning, in choosing the music, and how to sequence it. They’re about making the transition between songs, messages, news, and information. According to Rocco, the best shows are about sharing the insights and the stories of the day and behind the music: “There is no substitute for experience in radio—people with experience have a huge advantage. Just like driving a car, the more time you spend behind the wheel the more instinctive it is to drive the car. [It’s] the same with radio. As you get older, you gain experience, but you also have changes in your voice, in learning the equipment, and the timing. It is different. You have to feel the show, the atmosphere of the day.” Says Rocco. According to Rocco the theme shows in which he plays a genre or era of music take planning, but are more about finding the right songs and the right mix of sound and voices. Switching between groups and solo artists, male and female voice, tempo and beat, style and sound, it creates a dynamic interesting mix that keeps the audience tuned in. He wants a “tight” show where the audience hears song after song that connects them to the theme and to life. A song may take them back in time, get them to recall an emotion or experience, or become the soundtrack for the day. To keep the audience tuned in, put the effort into planning and preparing, and doing homework so the music mix brings fans in and keeps them listening. Never play a “weak” song. Keep the audience in the theme, in the mood, and engaged. Always be prepared for a mistake, a glitch, a technical issue; have a backup plan for everything that could possibly go wrong. A CD isn’t playing? Have another ready to go. The microphone stops working? Have another plugged in. As part of your show preparation make a plan for what to do if the CD player doesn’t work, the turntable gets stuck, or the microphone goes dead. Remember: The first five minutes of the show sets the tone and are the hardest moments to do. With the first five minutes, you want to get the audience hooked and let them know what the show is about. Rocco will be doing his 600th show in July 2016. Since Music Hall began in 2003, he has only missed two or three shows. For Rocco the show is as much about the lead in, the setup, the planning, as it is about the time on air. Tune in Saturdays 9 am to Noon Eastern to WCOM-FM’s Music Hall and listen to Rocco tell the story of our lives and times with timeless music and share his experience and love of music. Save the Date for Monday, June 20! We will hold a WCOM Family Solstice Celebration on Pickards Mountain. This will not be a fundraiser; there will be no admission charge, although there will be some sort of advance signup. It will be a party for WCOM members with live music by Tony Williamson. Vimala’s Curryblossom Café will donate the food! WCOM will provide non-alcoholic beverages. The party is open to hosts and volunteers, their families, and their underwriters. Donald (DJ Smooth Jazz) Brumfield has stepped forward to agree to become a badly needed Simian operator. We still need a couple more so that someone trained will always available when we have automation problems. We also badly need someone willing to fill the vacant Engineering Committee chair. Don Emmitt will get new station t-shirts fabricated for WCOM. These should be ready by the June 20 celebration. The biggest volunteer need we have is a volunteer coordinator. A volunteer committee chairperson would be second. Someone to take on the website would be next. Programming and Engineering always need people. All shows currently being broadcast now have underwriting!! The Silverspot fundraiser netted $756. In combination with the terrific efforts by y’all on underwriting this spring, our financial situation has rebounded from less than $2000 in early April to $3800 just five weeks later. Our new cash flow projections for the rest of 2016 look promising. We decided, therefore, to establish and deposit $200 monthly to a savings or money market account in order to build a reserve fund. Spinitron music reporting for compliance with the Digital Millennium Copyright Act will return for this quarter on June 17-20. The Board of Directors meets next on Wednesday, June 8 at 4PM. Save the Date for Monday, June 20! We will hold a WCOM Family Solstice Celebration on Pickards Mountain. This will not be a fundraiser. There will be no admission charge, although there will be some sort of advance signup. It will be a party for WCOM members with live music by Tony Williamson. We’ll have more details very soon. Donald (DJ Smooth Jazz) Brumfield attended the board meeting as any member may. He became our hero by stepping forward to agree to become a badly needed Simian operator. We still need a couple more so that someone trained will always available when we have automation problems. We also badly need someone willing to fill the vacant Engineering Committee chair. 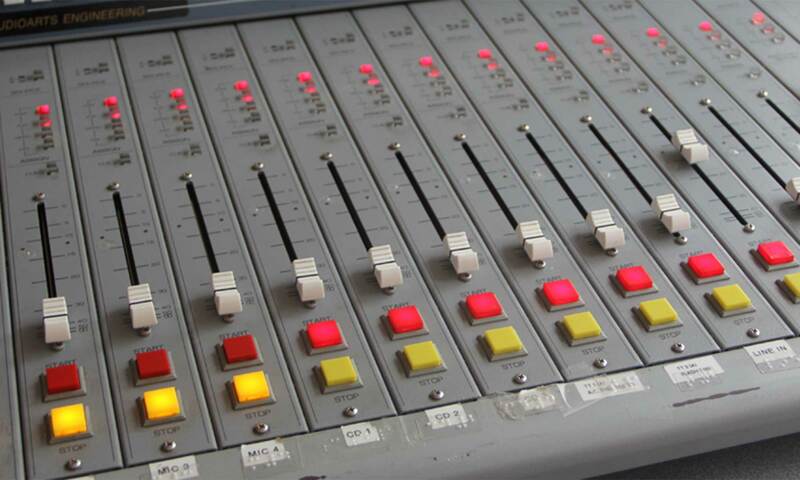 These are outstanding opportunities to contribute to your community radio station. Another Donald also stepped up. Don Emmitt will get new station t-shirts fabricated for WCOM. These should be ready by the June 20 celebration. The Silverspot fundraiser netted $756. In combination with the terrific efforts by y’all on underwriting this spring, our financial situation has rebounded from less than $2000 in early April to $3800 just five weeks later. Our new cash flow projections for the rest of 2016 look promising. We decided, therefore, to establish and deposit $200 monthly to a savings or money market account in order to build a reserve fund for the change of studio that will no doubt happen someday as well as unanticipated expenses. In other action: The board will hold a long range planning session in time to present the results to the membership at the Annual Meeting in October. A new process for substitute hosts will set up for a trial in the next couple of weeks. Spintron music reporting for compliance with the Digital Millennium Copyright Act will return for this quarter on June 17-20. Thanks to all attendees and to organizer Lee Anne McClymont for a delightful WCOM night at the movies at SilverSpot Cinema in Chapel Hill’s University Place on Thursday, April 28. We had a comfortable size to dominate the bar and just the right amount of food to leave all sated. Then off to the movies. I saw the Miles Davis biopic Miles Ahead, which I recommend. Jungle Book also earned some good WCOM host reviews. Plus, we raised almost $500 for your community radio station. Thanks to Lee Anne and Becky Johnson for these images from SilverSpot.